Silk is an exquisite fabric. 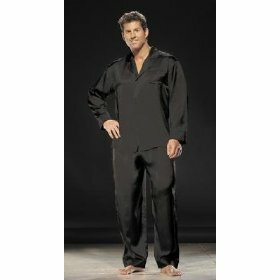 Silk garments are extremely comfortable and easy to wear. The beautiful look and feel of silk allows it to be used in many different types of clothing and other garments. There are many different types of silk fabric. Knowing about the available fabrics will allow you to better choose when you decide to add a new silk garment to your wardrobe. Chiffon is a light weight fabric that has somewhat of a rough feel. The weave of the fabric gives it a slight pucker. This property give chiffon the ‘stretch-ability’ that is associated with this type of fabric. Silk chiffon blouses are probably the most popular use of this type of silk. Charmeuse has a very shiny and reflective look to it. Due to the way the silk is woven, the front of the fabric has a satin like gleaming and shimmering look. You’ll find that charmeuse is one of the more expensive types of silk weave. Charmeuse is often used for lingerie and of course for evening gowns. A long flowing charmeuse evening gown is the height of elegance. Silk referred to as ‘China’ silk is the fabric type that we have all seen and most people are referring to when they talk about silk. This is the most common type of silk and usually the least expensive. China silk is made with a plain or standard weave and is available in a large variety of thread counts and weights. You’ll find it used in a variety of ways. 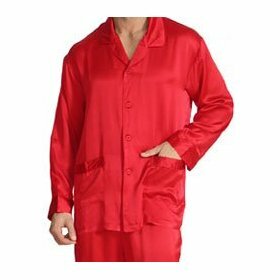 It is commonly used for the more standard types of pajamas, shirts, linens, liners, draperies and dresses. Doupioni is one of the finest weaves of silk fabric. It has a lustrous satiny sheen and can be identified by the uneven and irregular slubs that run across the fabric. The finest Doupioni silks come from Italy, China and India. This type of silk is a popular choice for wedding and bridesmaid dresses. It is widely used in high quality men’s and women’s suits. When you want a truly elegant look you can find Doupioni silk dresses, blouses, shirts and many other garments made from this fabric. There are many other less commonly used types of weaves that can be found in silk fabrics. Some of these include brocade, crepe, faille ribbed, sheer crepe and matalasse. Each has it’s own properties that make it useful for specific types of applications. By knowing a little bit more about the different types of silk and the many options in the look and weave of the fabric, you may want to take a look at some of these different fabrics the next time you buy a silk garment. Silk is the fabric of luxury. By choosing carefully you can have a new fashionable look that you’ll be proud of.